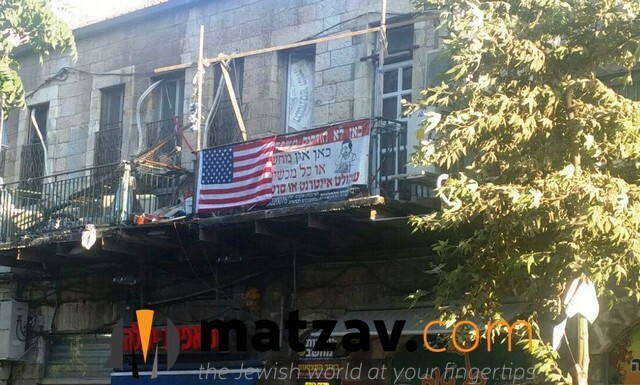 A group of American bochurim living in Yerushalayim wished to express their patriotism in honor of July 4th and did just that by hanging an American flag on the porch of their apartment. The dirah is located in the heart of the bustling Geulah neighborhood, a stone’s throw from Kikar Shabbos, on the busy street of Malchei Yisroel. Passersby have stopped today to take a look at the stars and stripes, smiling, immediately understanding that the ones behind it must be bochurim hailing from the United States who wished to display the flag in honor of American Independence Day. 🙁 Once upon.. it appeared there was something to be happy and celebrate,but today..
USA USA USA USA USA USA USA USA USA USA. After the USA has gone sharply to the left, not just legalizing, but also promoting various types of toeiva, not just in the USA, but worldwide too, among other things, one has to wonder if such displays are appropriate, especially in the heart of Yerushalayim or hakodesh vehamikdash. I say it is out of order. Hakoras hatov to the Medina shel Chessed is well deserved. B”H that the mightiest and richest country in the world is also the kindest and most generous. Whether it’s the Middle East (a key strategic area of interest), Somalia or Haiti (which have little or no strategic value to us), we don’t hesitate to sent aid, money and personnel for humanitarian aid. 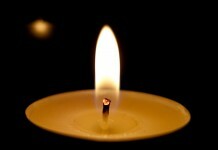 They were among mightiest and richest in the world , also the kindest and most generous. Let’s see, this country sends over $3 billion in aid to our brethren in Israel, has laws protecting us from discrimination of any type, has laws mandating that even private company employers must make reasonable accommodations for our religious beliefs, even goes so far as to suspend parking regulations on Yom Tov, arranges extra garbage pickup erev Pesach, protects the kosher consumer as best as they are able, etc, etc. You’re an ingrate who’s proudly flaunting the non-Jewish mida of a kafui tov. Instead of making up your own krum svoros, try asking someone more learned than you if there’s even a scintilla of sense to what you’re saying. You are a wise young man. Come to my wonderful country where you can live under a government that is reflective of your beliefs. Wow, so sweet. I guess these boys are a little home sick. Never forget that Gedolay Yisroel fasted on the original July 4th. And after the fast they couldn’t even enjoy a “hot glazel tea” because some hooligans had dumped it all into Boston Harbor, which remained polluted up until Mike Dukakis was governor. I don’t remember shiva osor b’tamuz ever falling out on July 4th. How did it happen back then? For all those “America is no longer Medinah shel Chesed” Did you hang up an American flag years ago? Do you absolutely never vote for candidates who promote toeva no matter how much they promise you and the yeshivos? 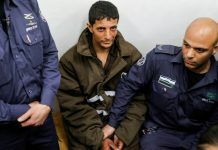 Do you think the US is worse then Achav that Eliyho Hanvi ran in front of to give Kovod Malchus?